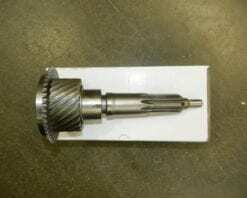 This input shaft fits the NV4500 Dodge transmissions used behind the diesel or V10 gas engines. 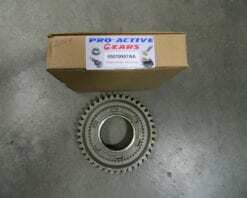 This is the larger 1 3/8″ clutch spline found on some aftermarket or factory 6 speed clutches. 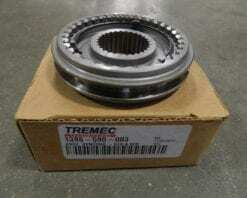 This is a 1-2 synchronizer assembly for a Tremec T56 transmission. This is for the Camaro/Firebird applications. 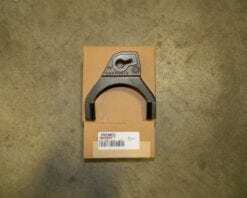 It replaces part number 1386590001. Does not include synchro rings. 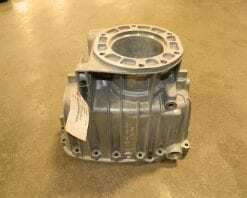 This is a brand new OEM ZF 6 speed tailhousing for the 6.0 and some 7.3 Ford 4X4 trucks. It has a casting number 1319401058. 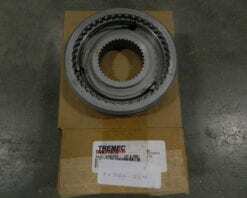 This is a 3-4 synchronizer for a T56 Tremec 6 speed transmission. This is for Camaro/Firebird applications with the LS1 or LT1 engine. Does not include rings. This is a 5-6 synchronizer assembly for a Tremec T56 6 speed transmission in a Camaro/Firebird application. Does not include synchro rings. 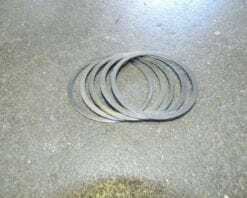 These are now aftermarket parts as OE’s are not available anymore. 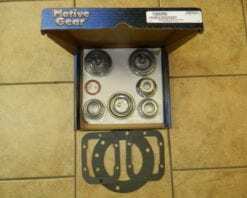 This bearing and seal kit fits all NV5600 dodge transmissions and includes all the tapered bearing and races and seals. It does not include any of the caged needle bearings. 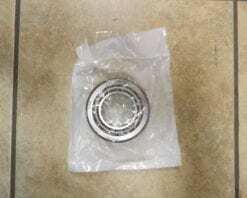 They are available in a seperate needle bearing kit. 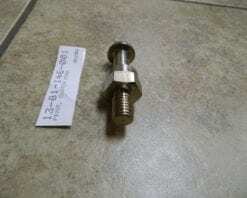 This is a genuine Tremec clutch fork pivot ball stud that screws into the bellhousing on 1983-2001 Ford Muastangs with the T5, T45, or TR3650 5 speed transmissions. Shipping is FASt and FREE in the continental U.S. This updated cast iron 3-4 fork fits all GM products with a T56 Tremec 6 speed manual transmission. 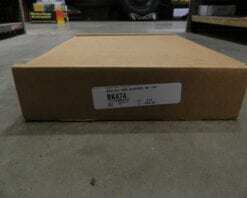 It replaces part number 1386596004. 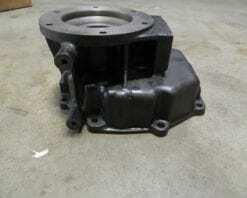 This is a cast iron tailhousing that fits a NV4500 5 speed transmission in the Dodge diesel trucks. This is much heavier that the factory aluminum piece and is a direct bolt on replacement. These have the 2 threaded holes on the side for the transfer case shifter, so they will fit all years. 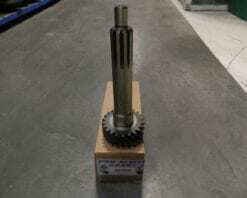 This countershaft 5th gear fits all NV4500 Dodge transmissions and all GM’s with the later 5:61 ratio (22 tooth input shaft). There is a GM number for reference 12548338 and a Dodge number 4637786. 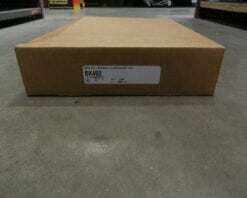 This is an aftermarket part from a supplier that we have used for years. 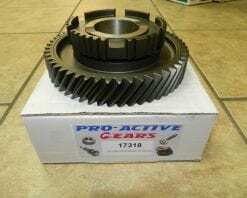 This is a shim kit for the counter shaft on a NV5600 6 speed transmission in a Dodge truck. 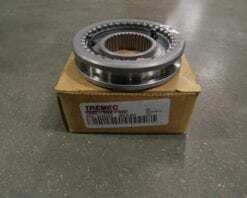 This is used to set the preload on the tapered bearings and they go in front of the counter shaft bearing race.